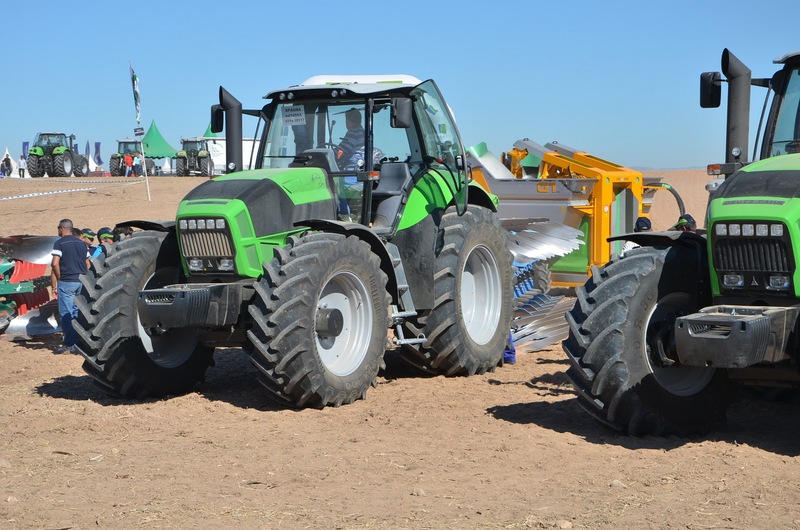 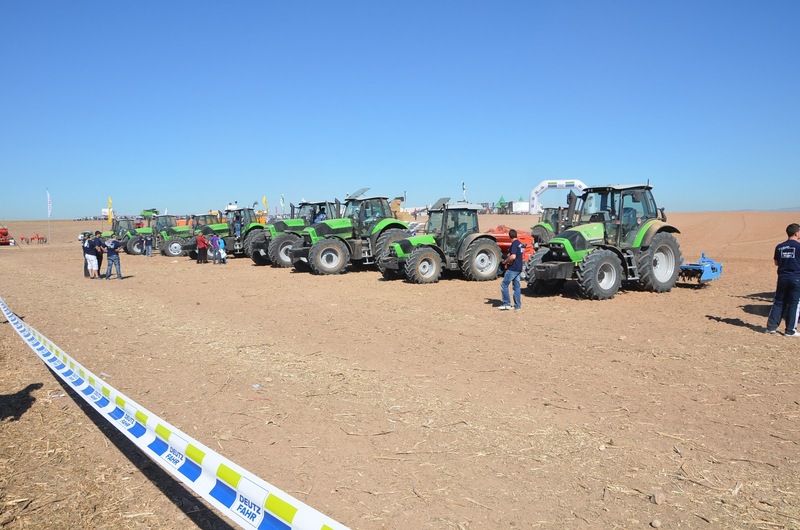 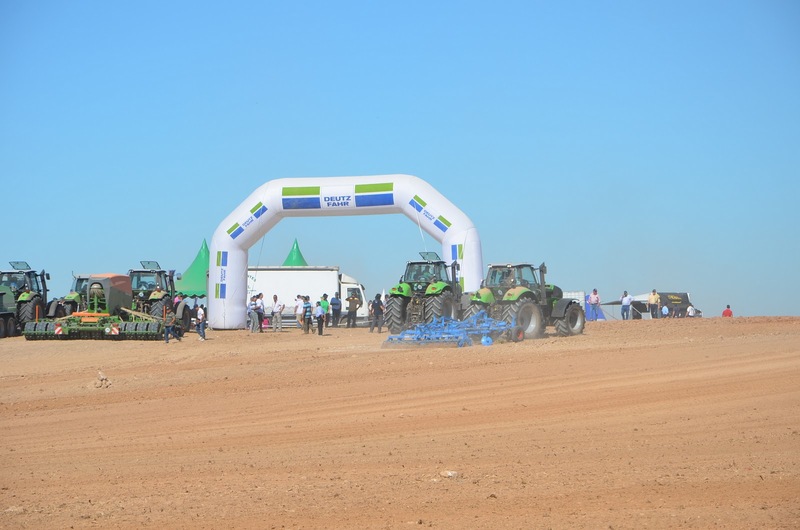 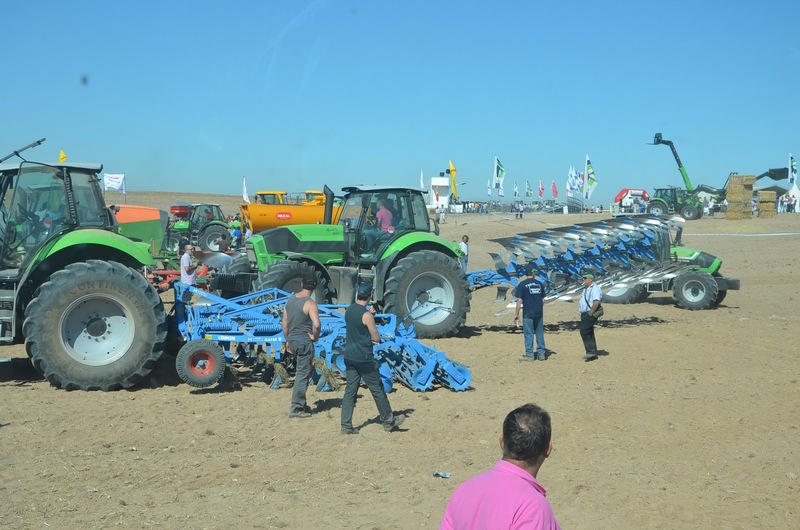 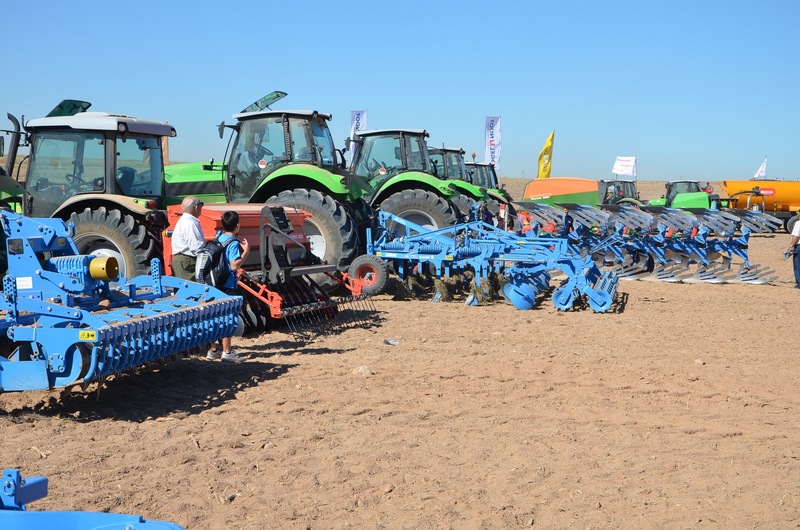 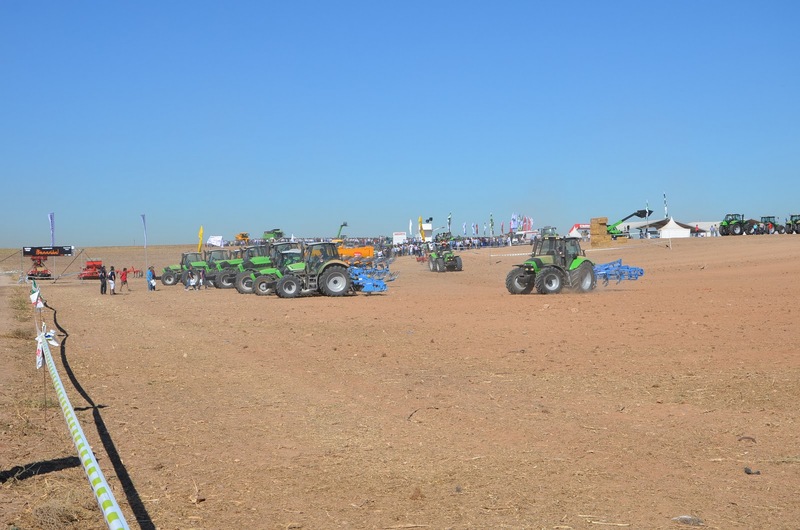 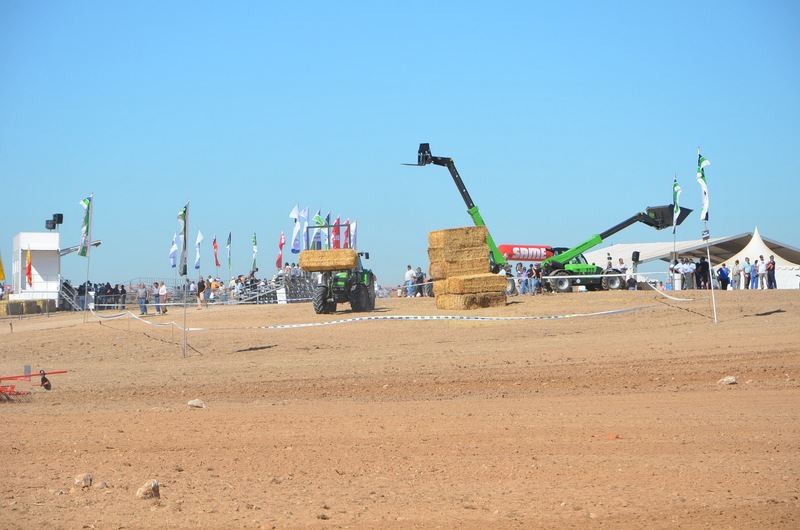 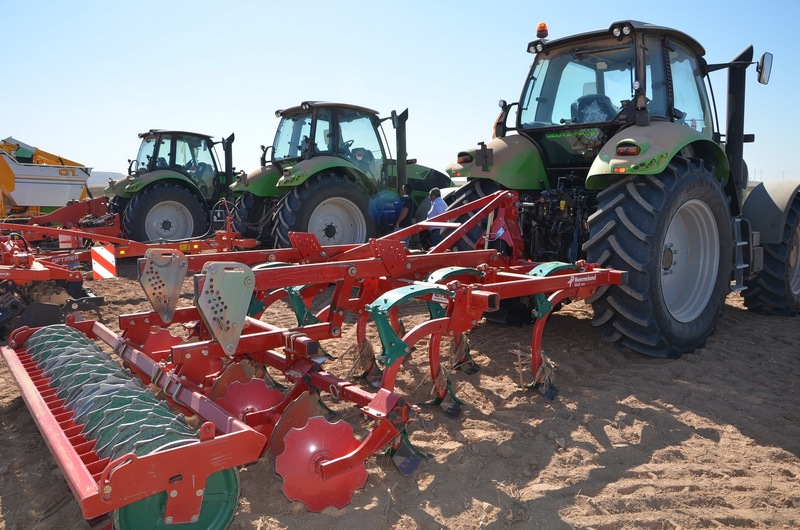 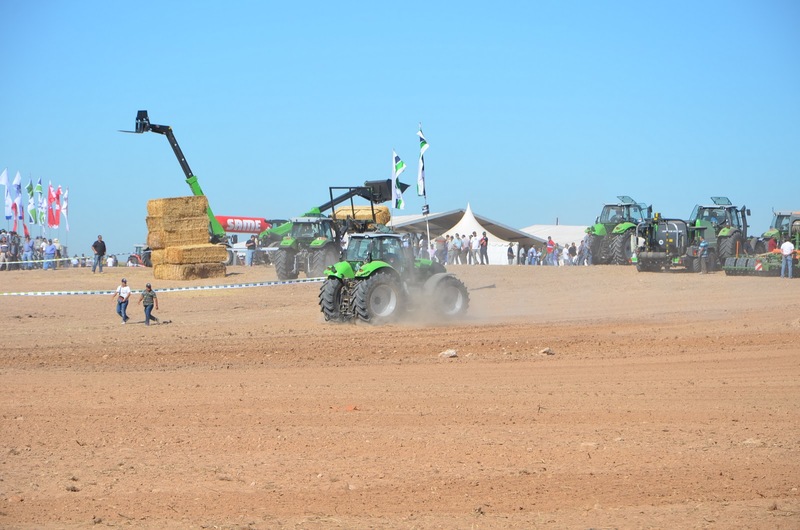 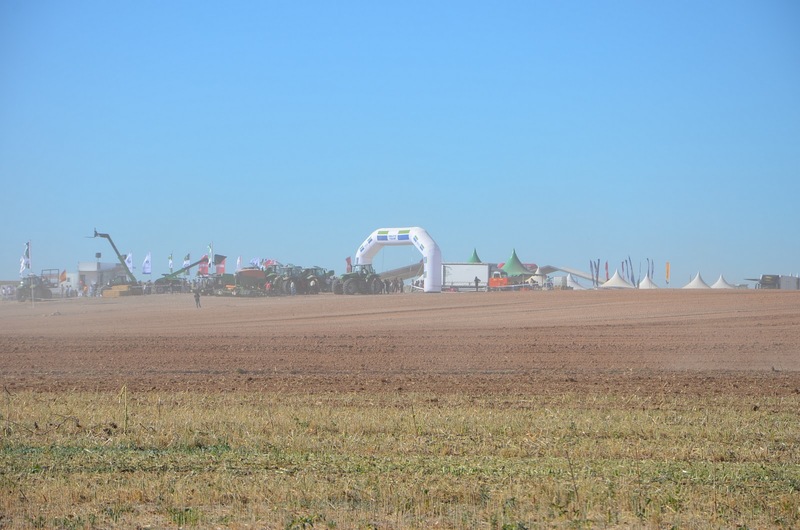 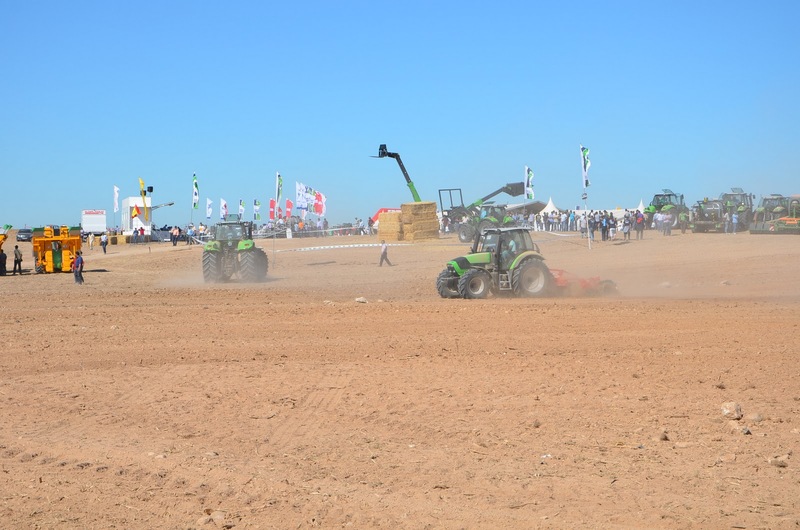 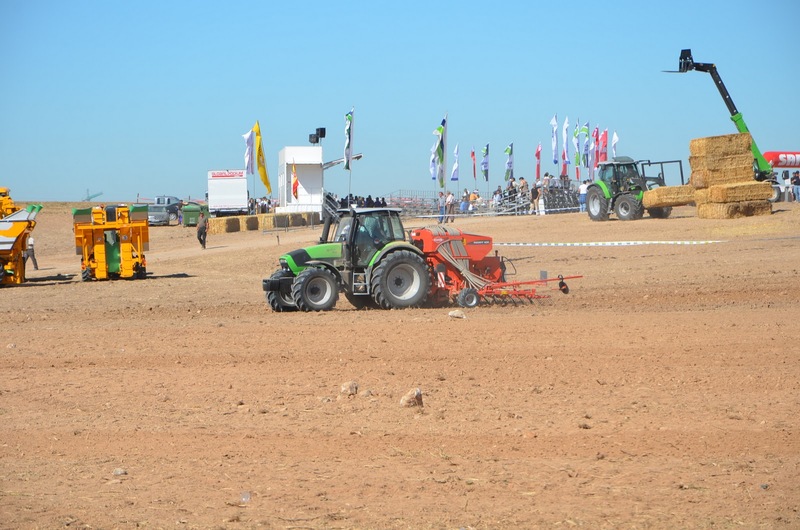 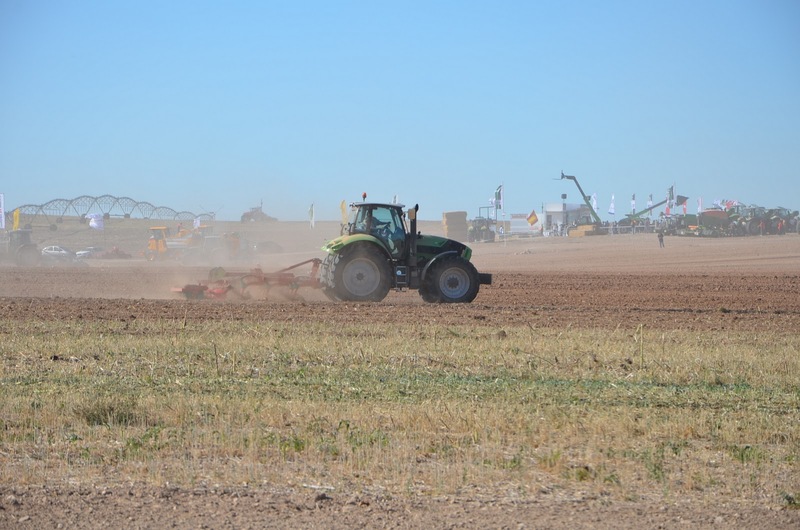 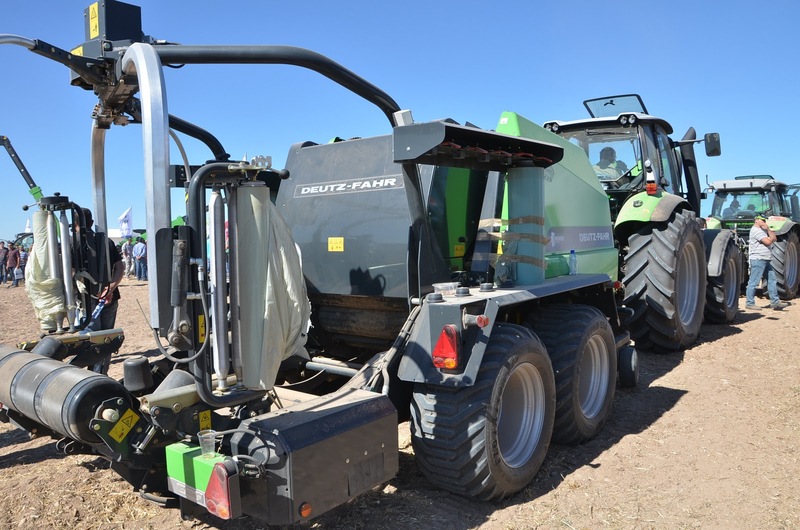 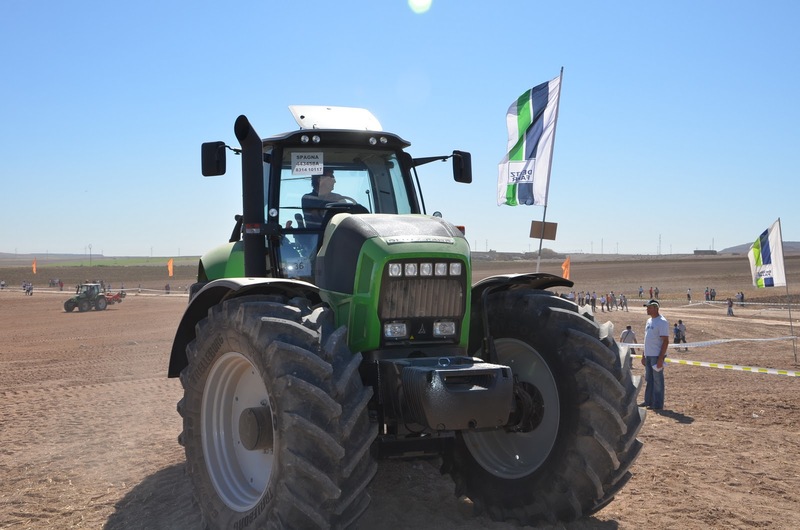 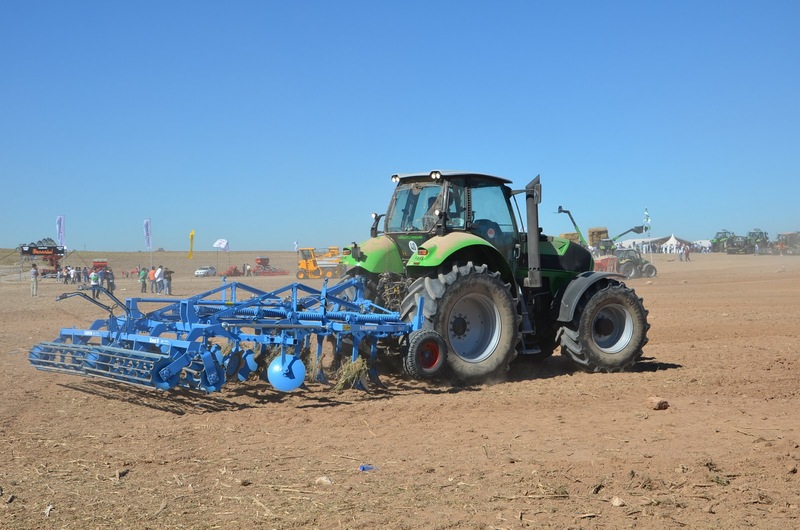 Last Tuestday Same Deutz-Fahr Group celebrated its annual farm show. 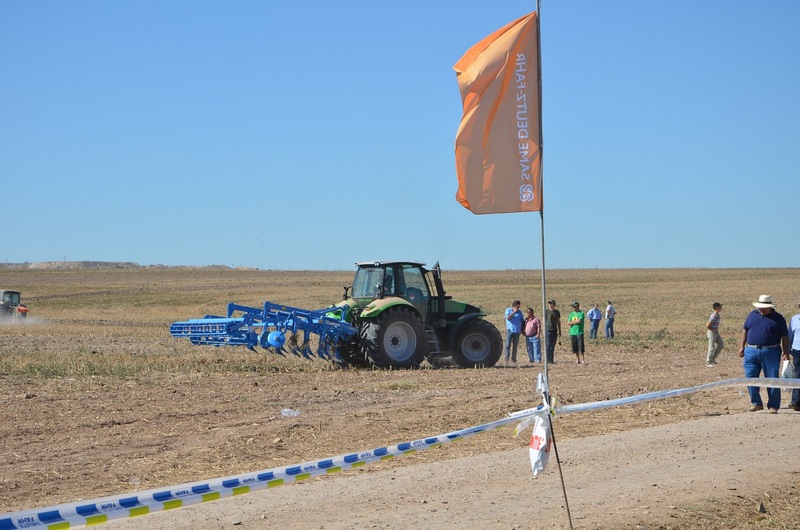 This time, it was placed in a small Village called "Fuentes de Ebro" in Zaragoza. 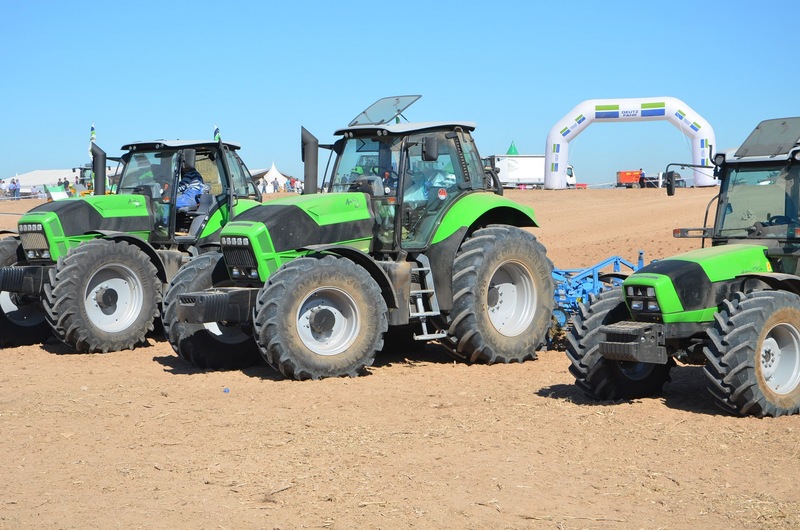 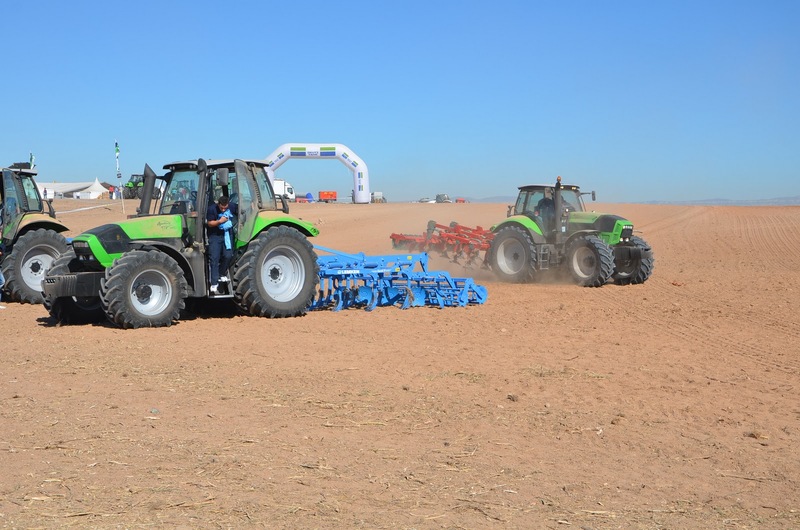 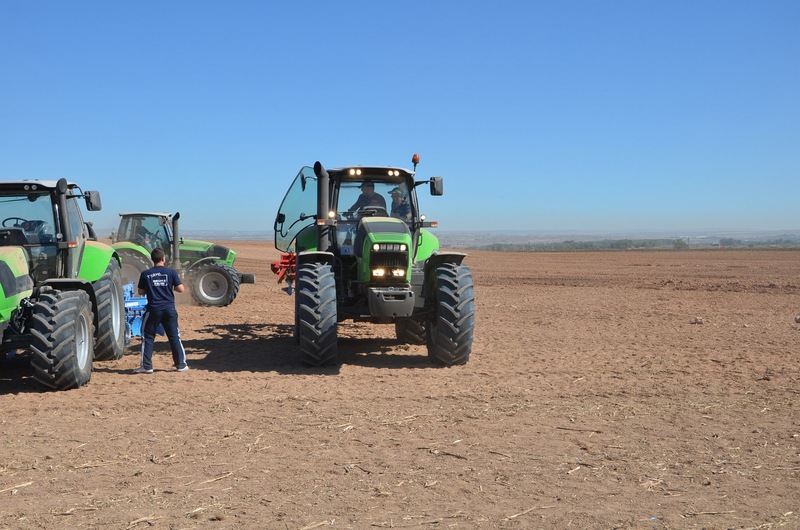 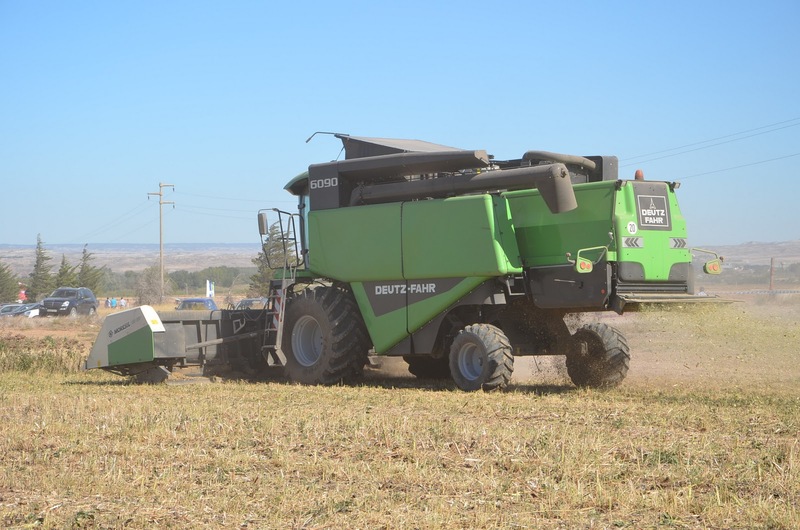 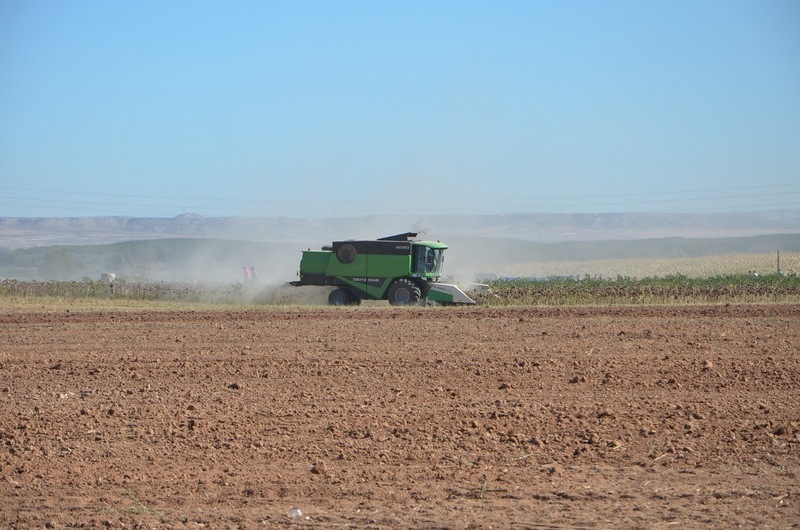 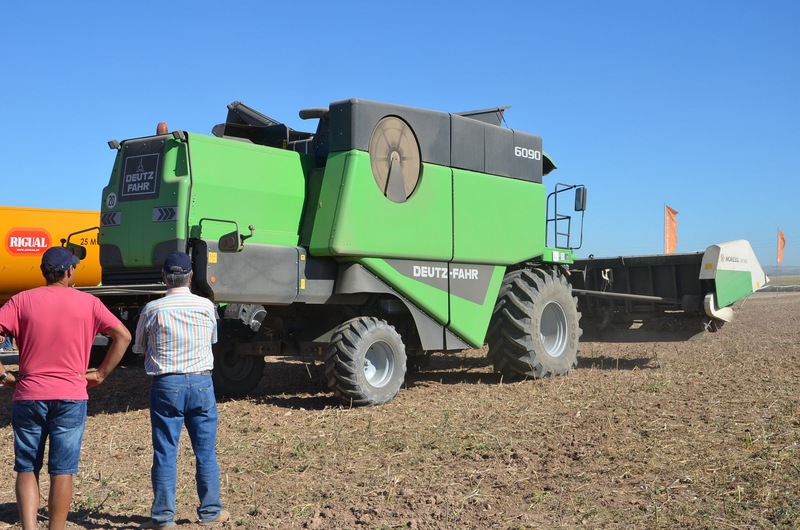 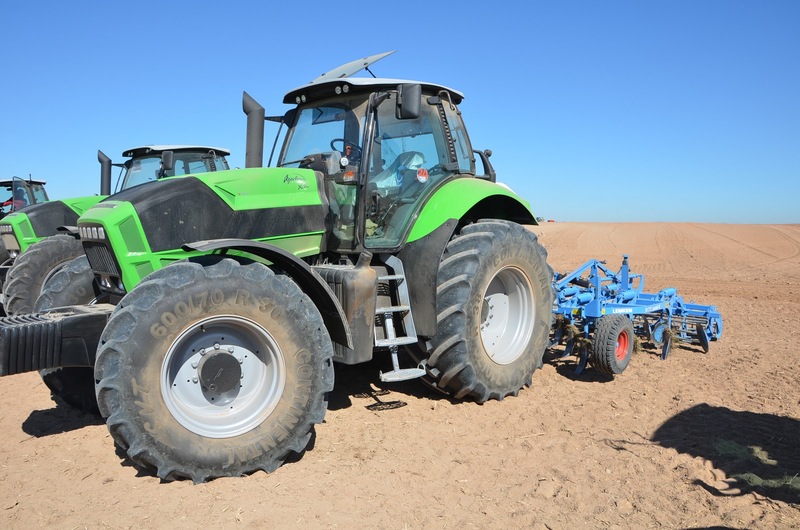 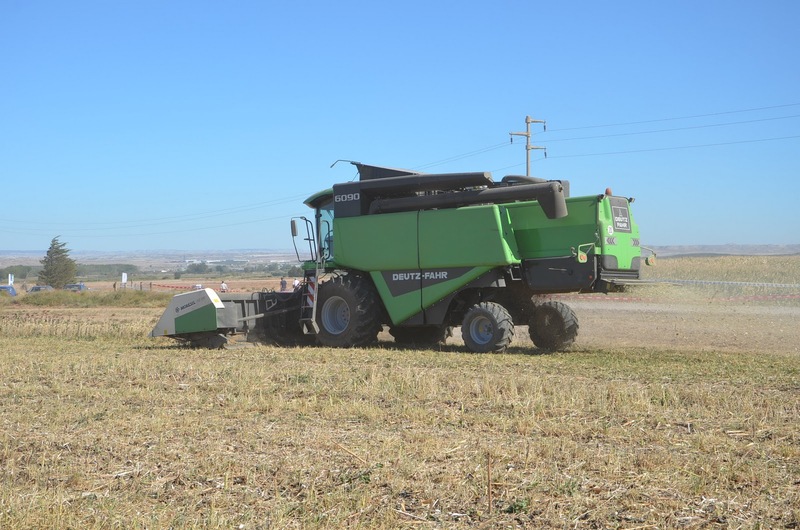 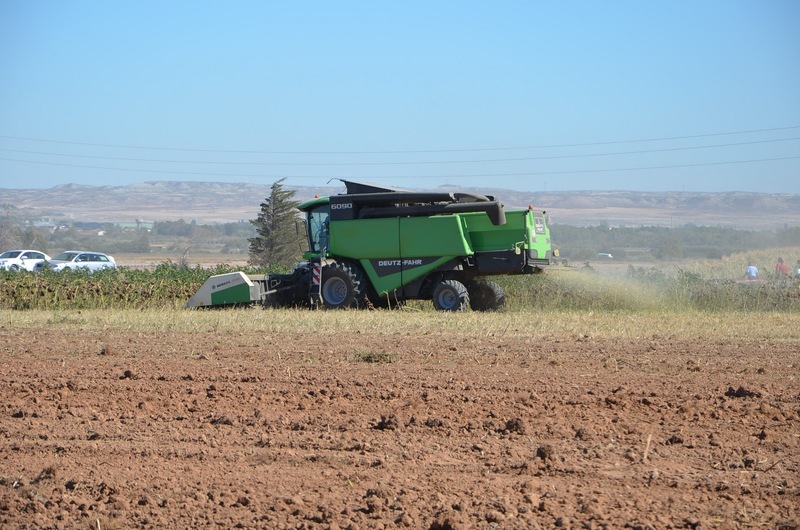 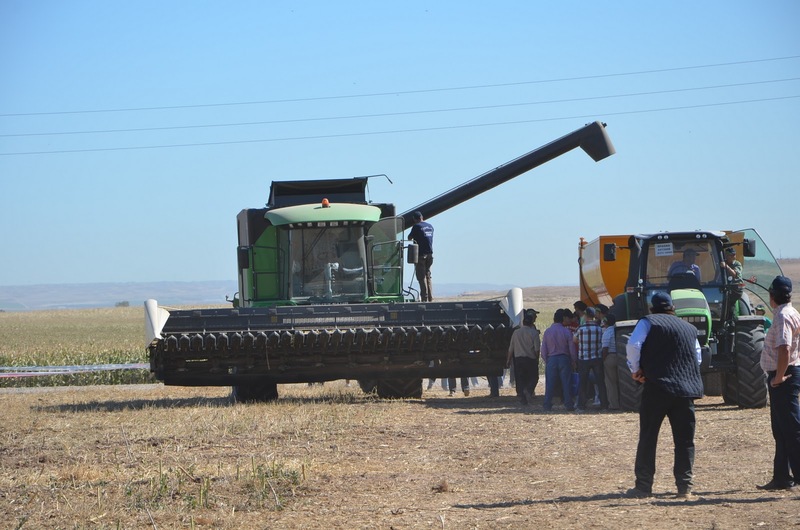 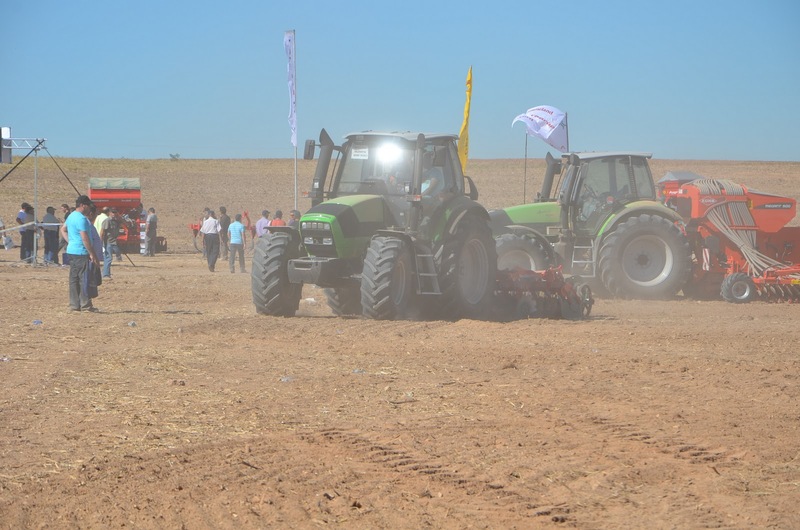 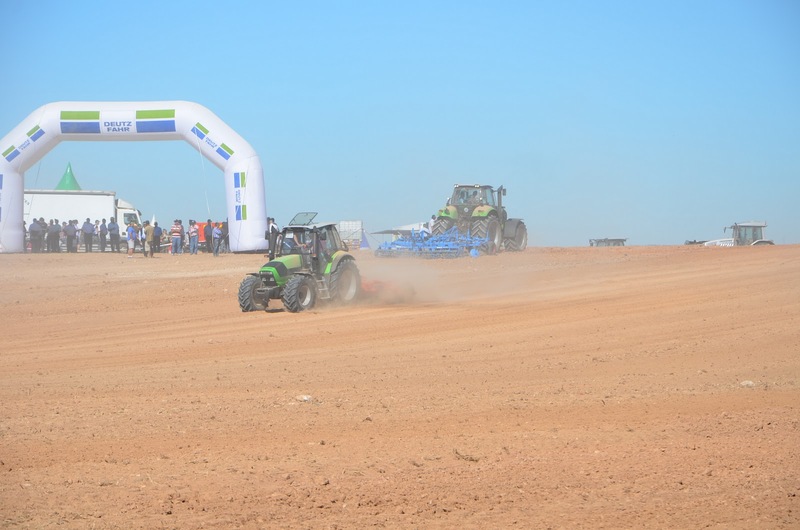 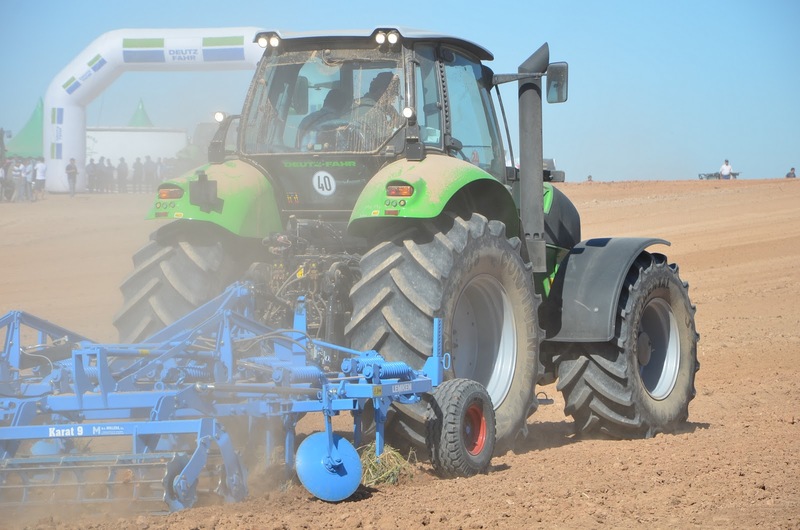 Firstly, I would like to thank Same Deutz-Fahr Group about the big opportunity they gave us to test their tractors in the field and without restrictions or complex. 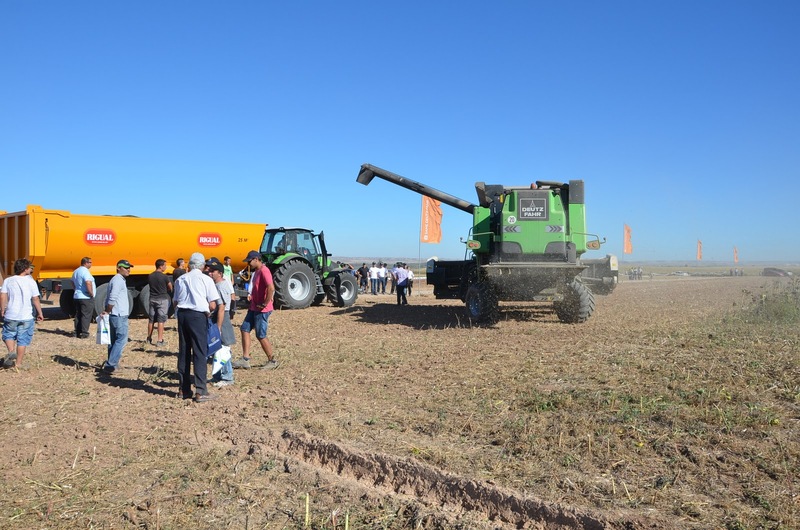 Also, I would like to express gratitude them for their fantastic organization in this event, the wonderful food and drinks (paella was exquisite and you could have every free beverage during the whole day) and definitely for their attention with customer as us (I think we were there about 5,000 farmers) who like seeing Deutz-Fahr trends and developments. 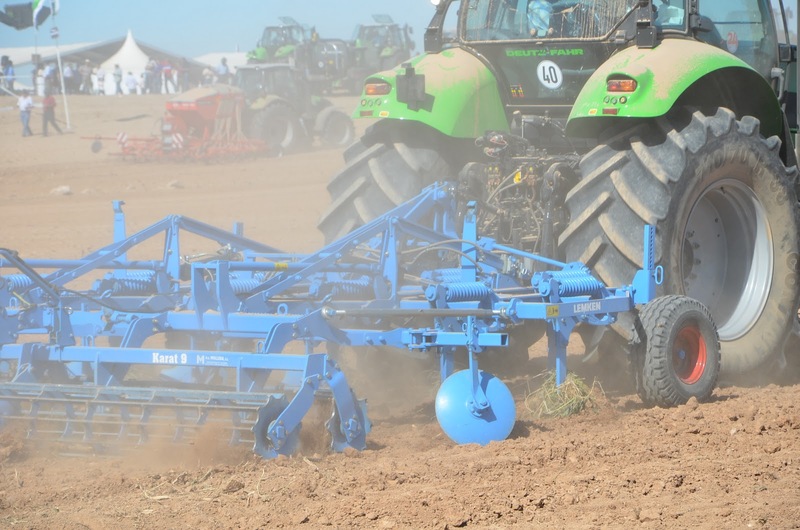 After that, I am going to talk about our impressions about some models which we could test: regarding TTV transmission, we have to say there is a big variety of configurations where you can select which is more appropriate for you, even they can work at 1,200 r.p.m with working speed at 10km/h. 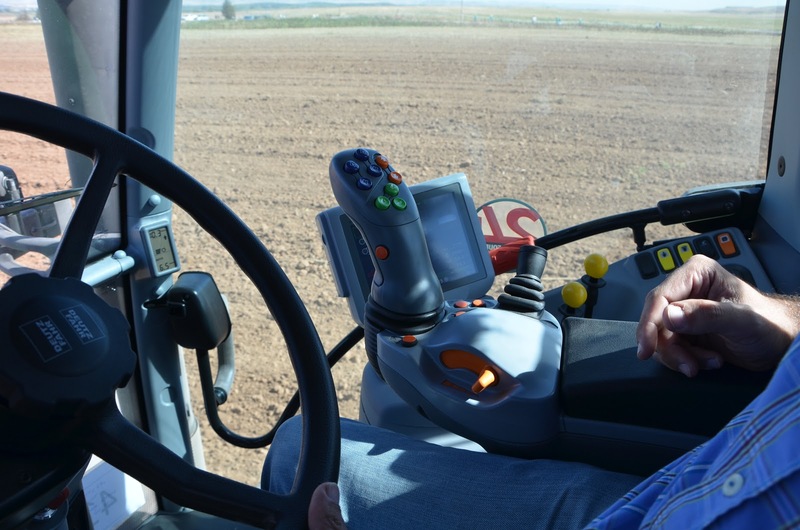 We could test it with the Agrotron 630TTV. 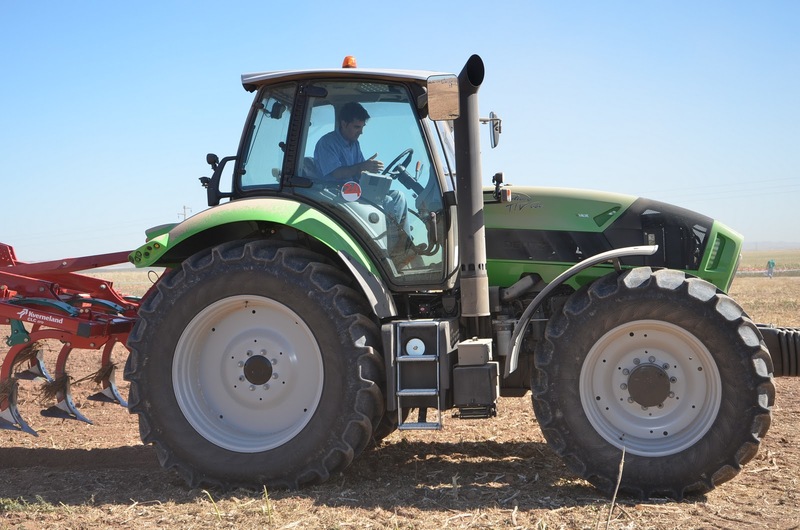 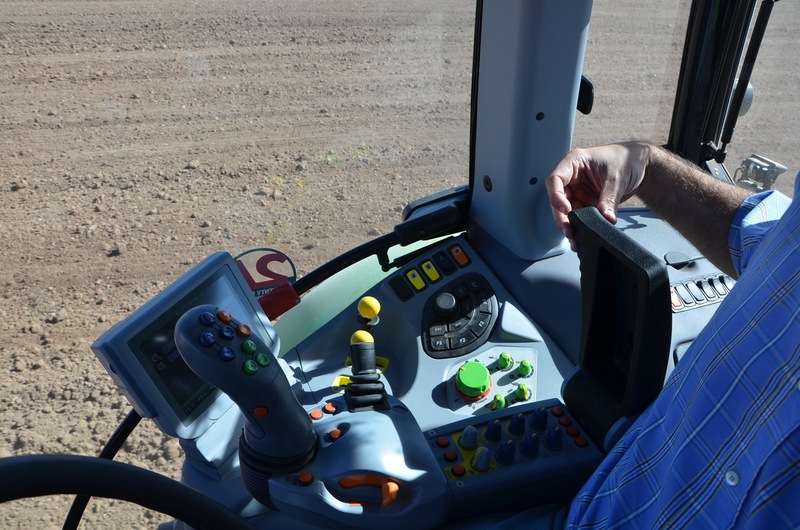 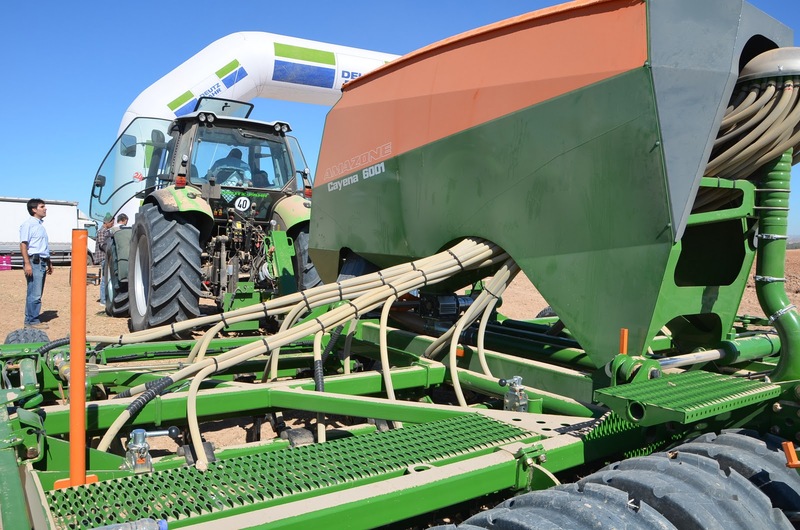 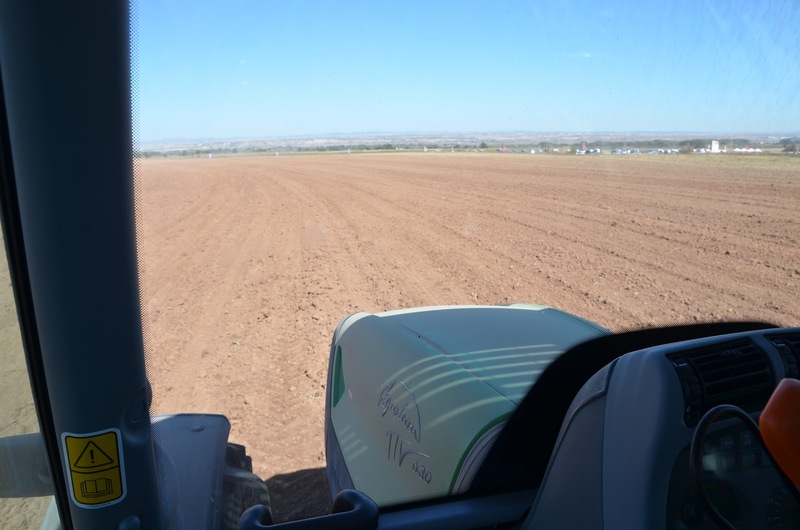 This tractor was provided with iMonitor, which offers detailed information about each part of the tractor. 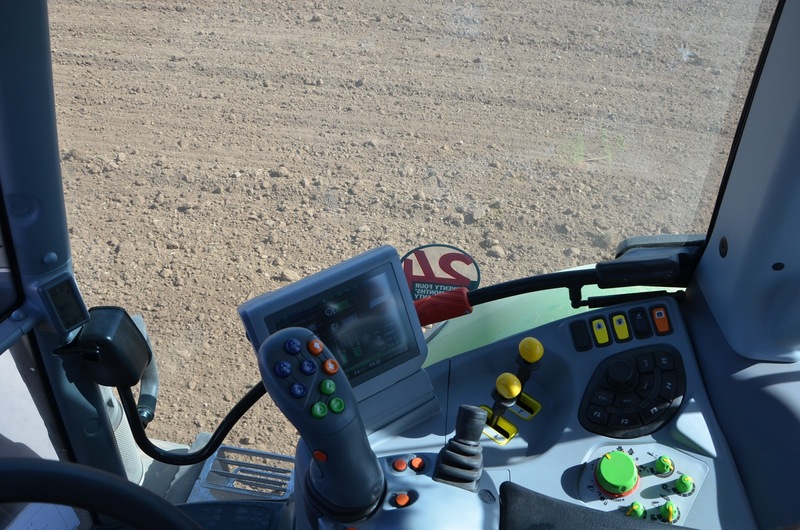 It even has a mini camera to watch the tool on iMonitor (I think it is not very useful). 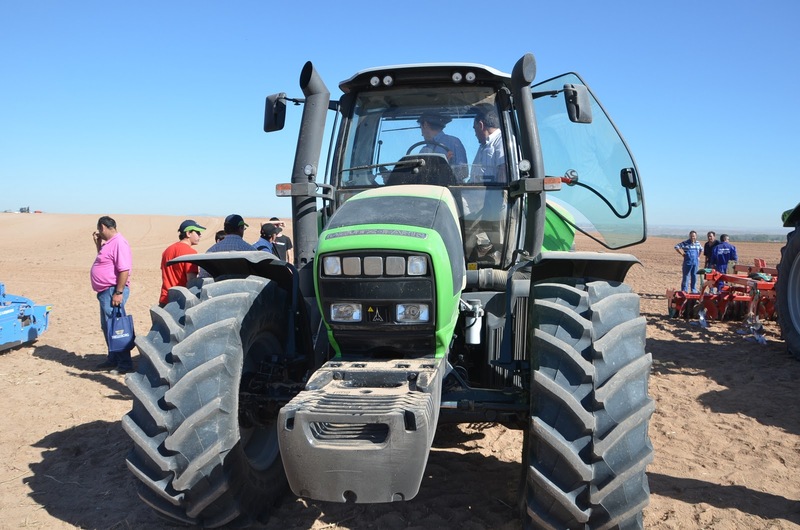 Other tractor we could test was the Agrotron 430TTV. 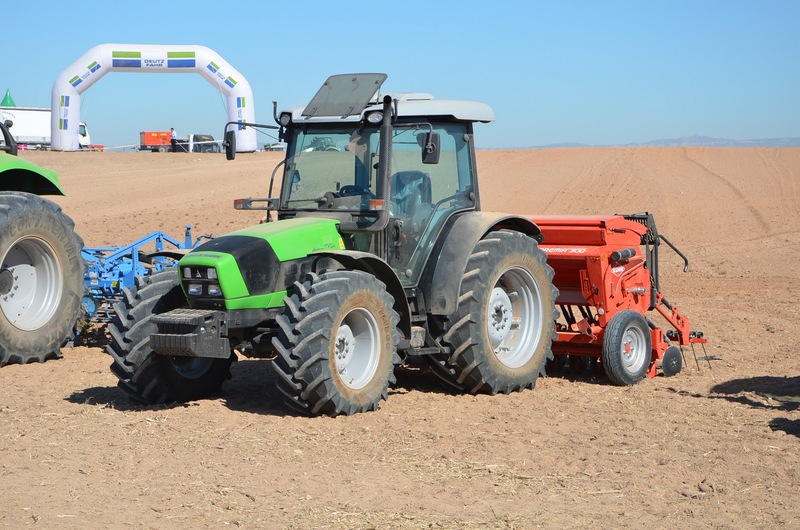 This tractor used arotary harrow and with the PTO mode we could test the engine speed was being constant despite of changing the working speed. 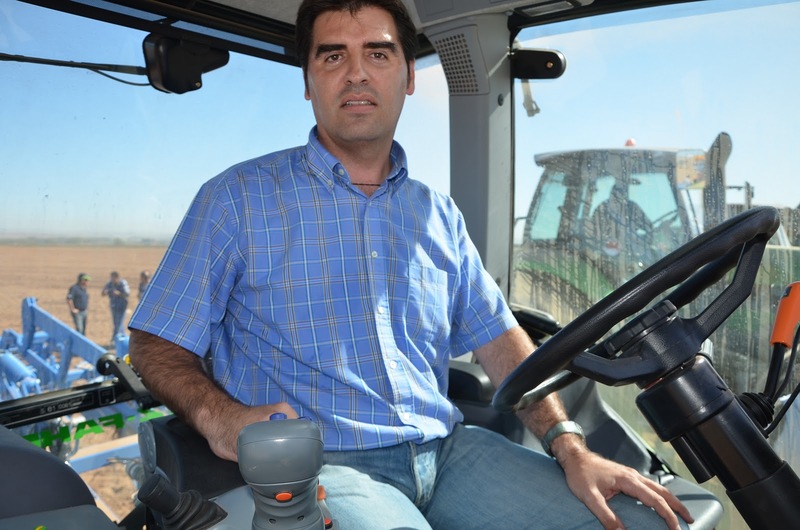 I think it is a tractor very versatile and very comfortable to work with. 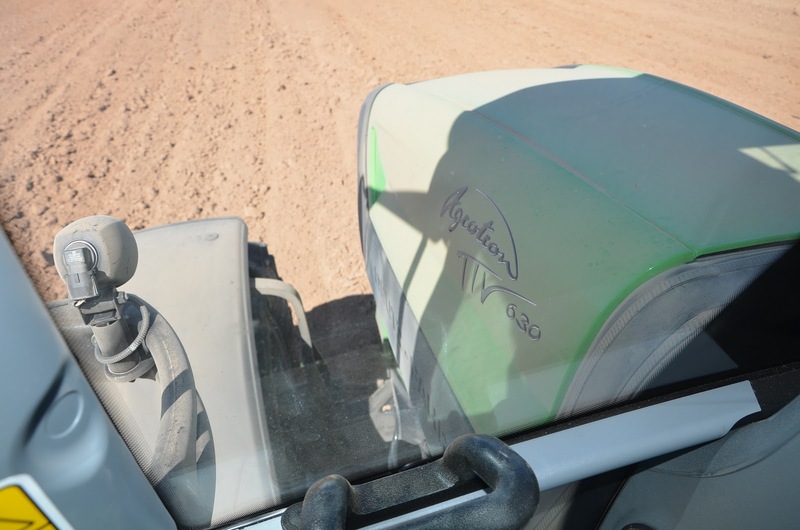 I have to highlight, I was impressed with smoothness of Agrofarm 430TTV. 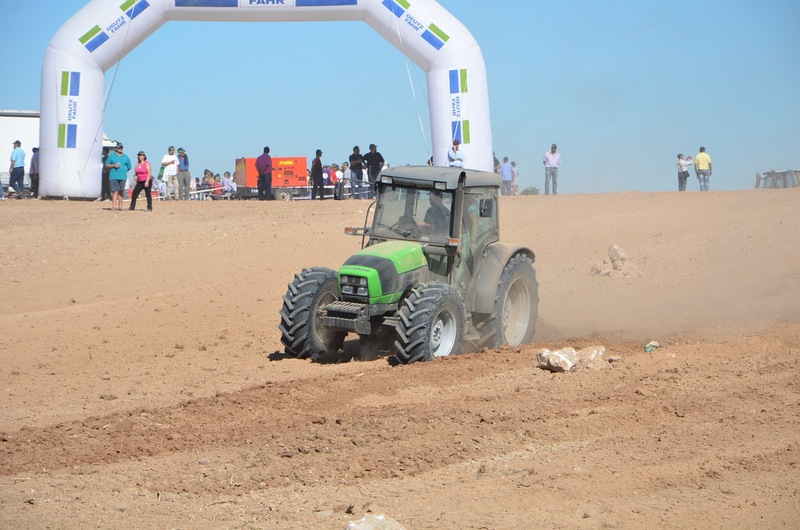 It has an important agility in maneuvers and it has an impressive smoothness in its driving. 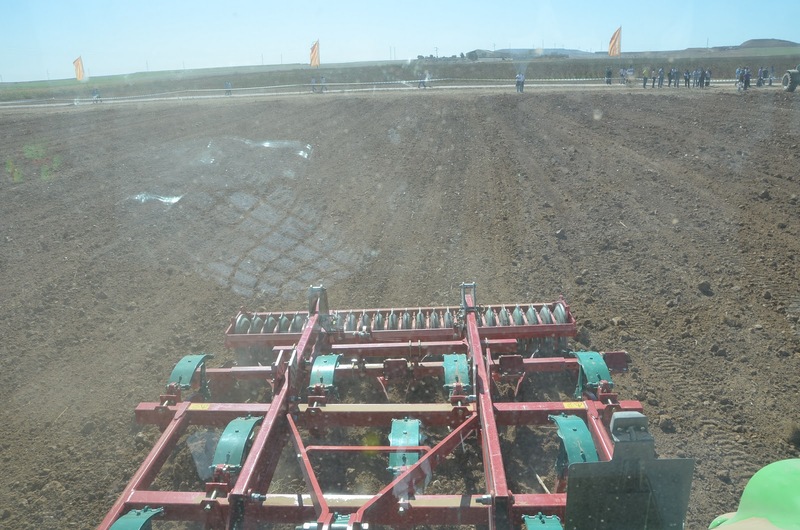 I think I like this ona best/ I think it is my favourite. 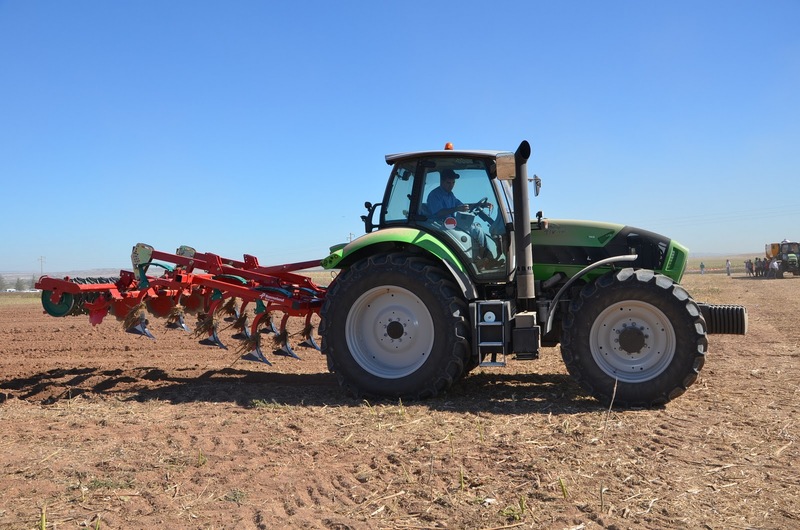 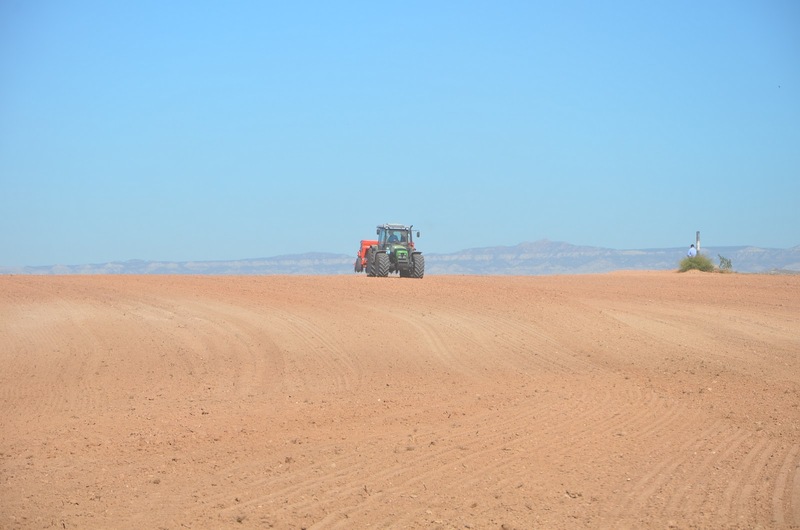 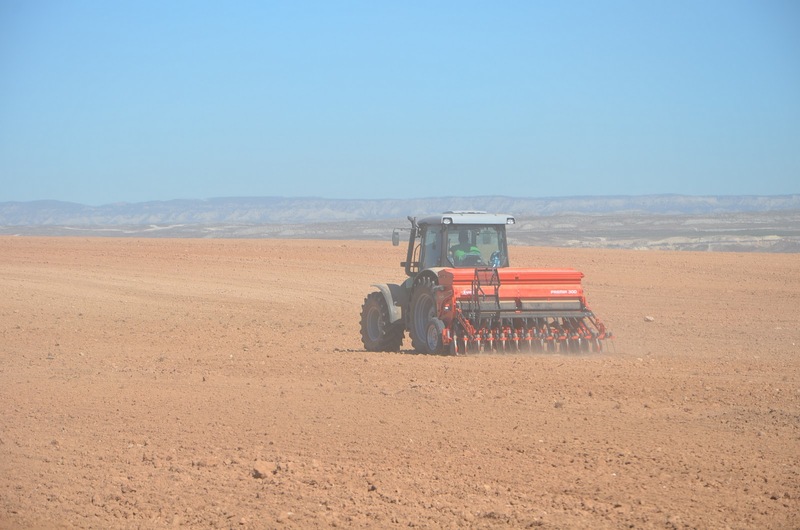 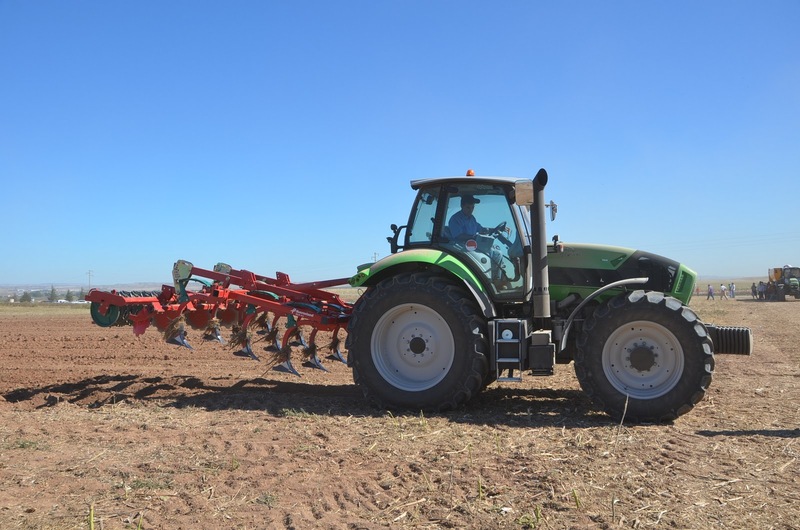 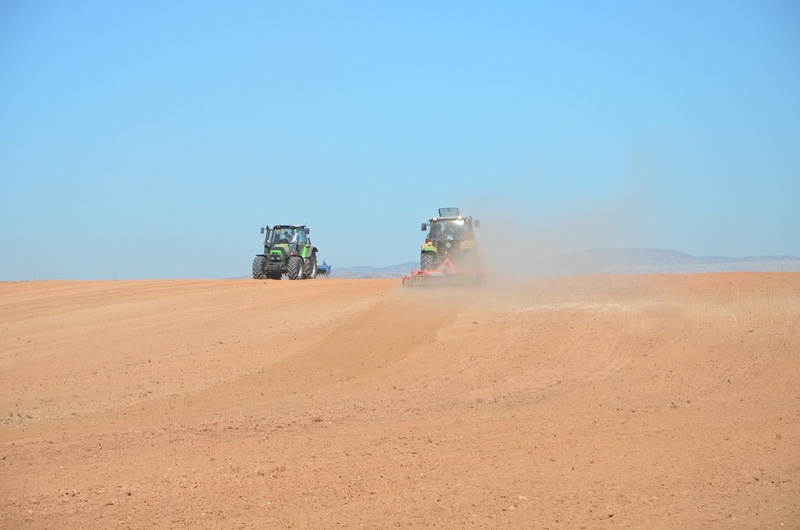 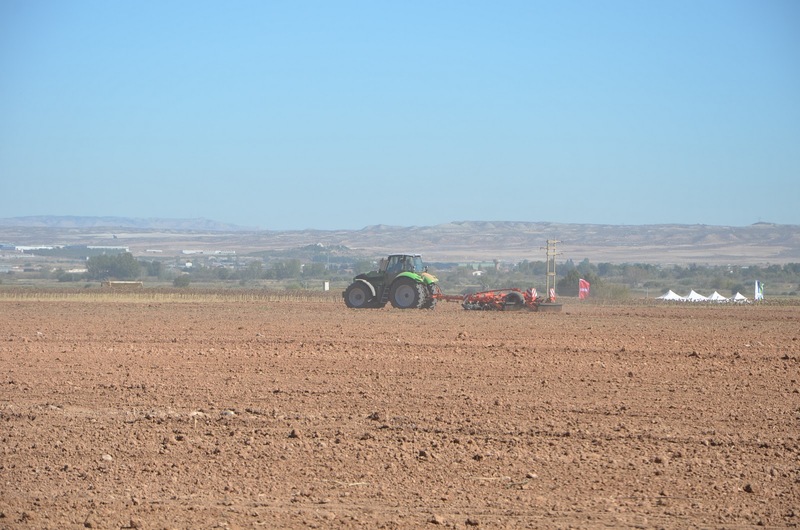 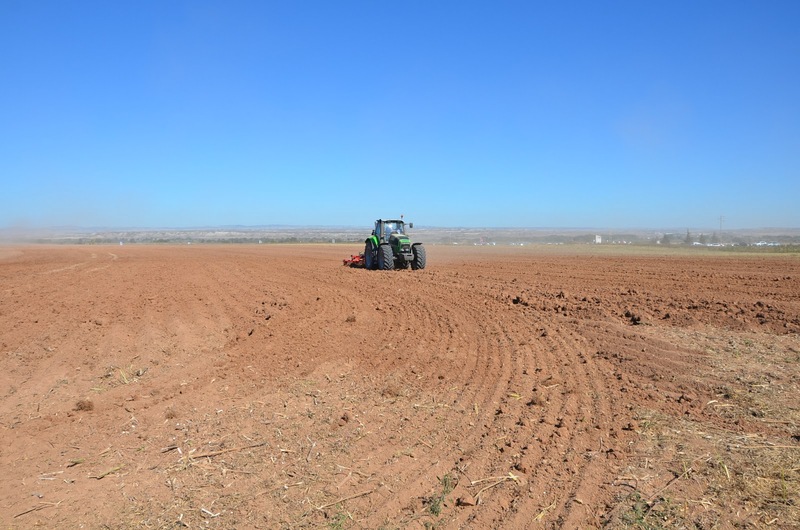 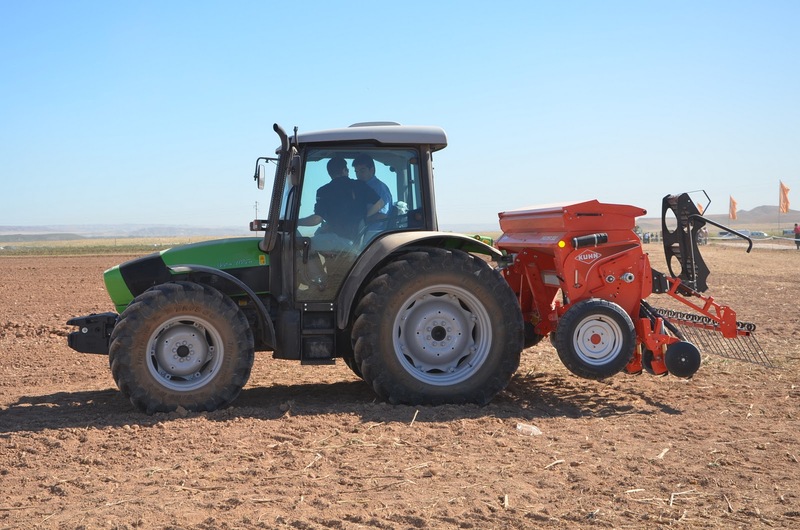 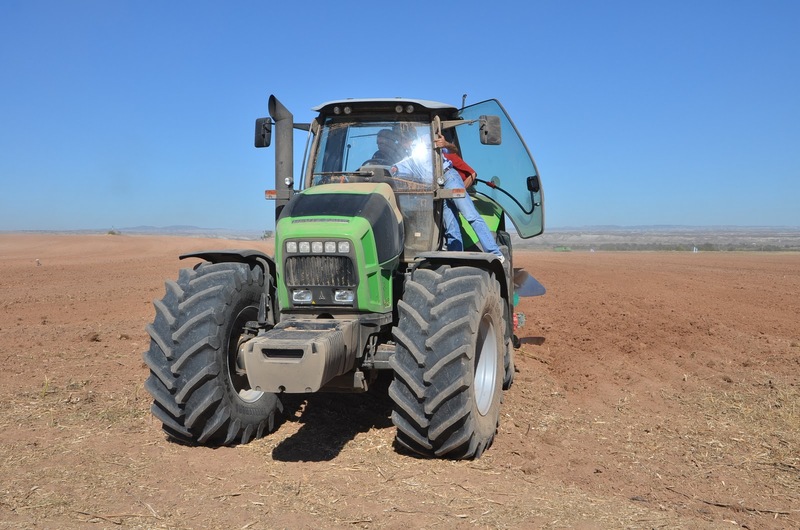 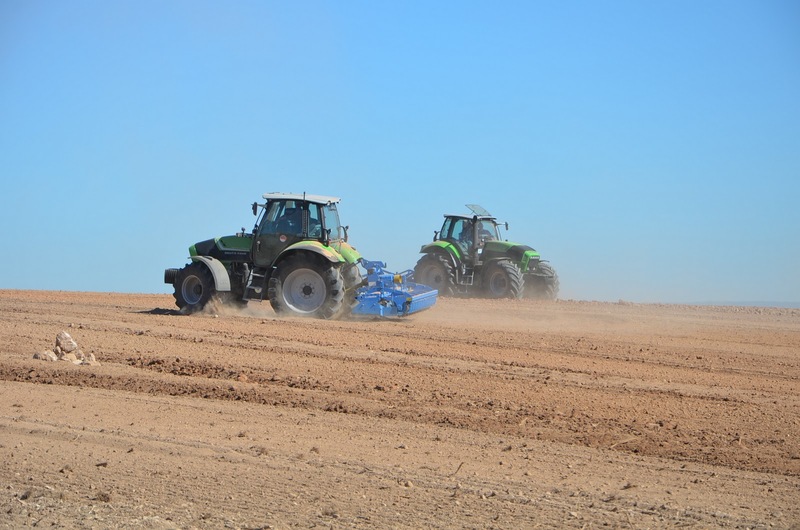 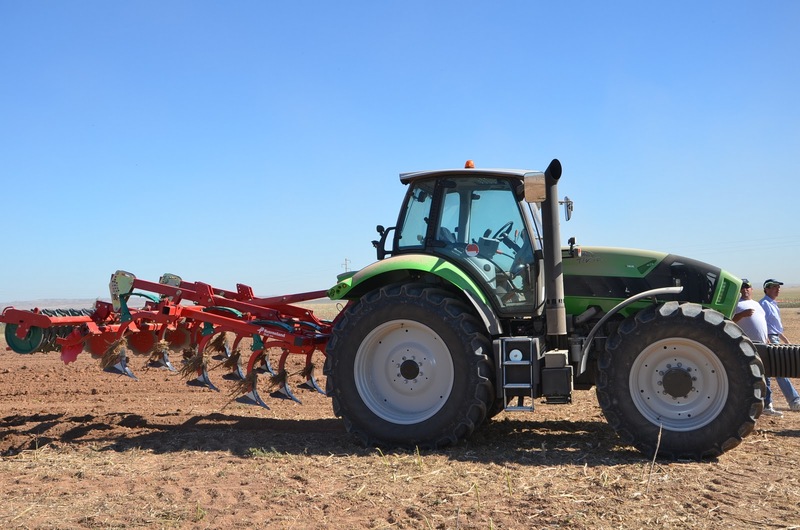 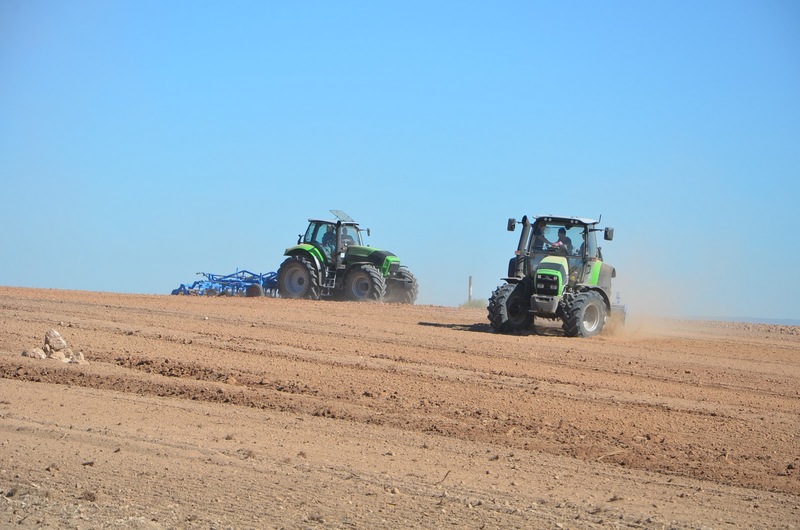 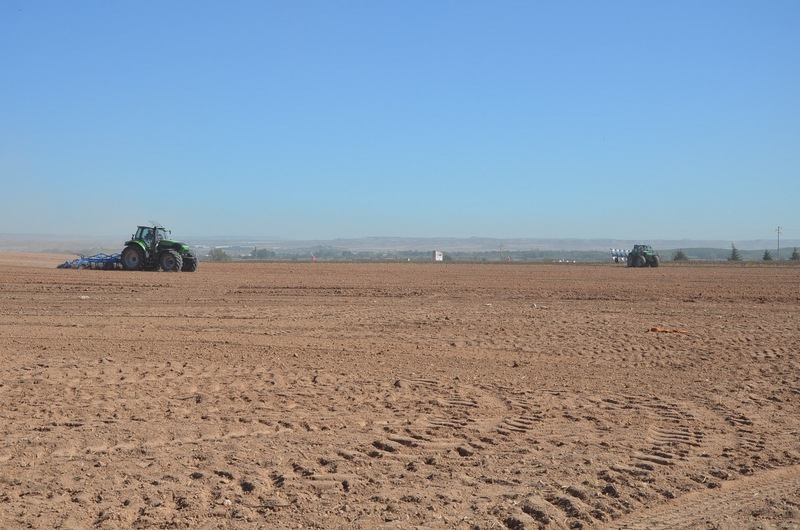 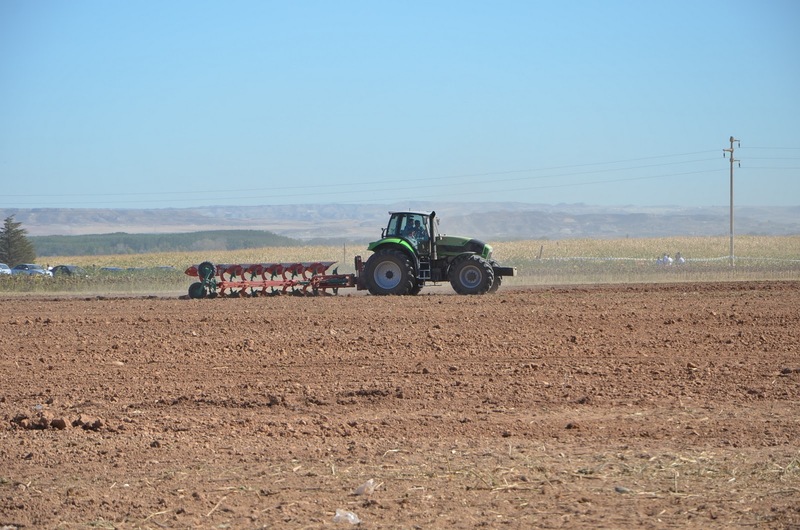 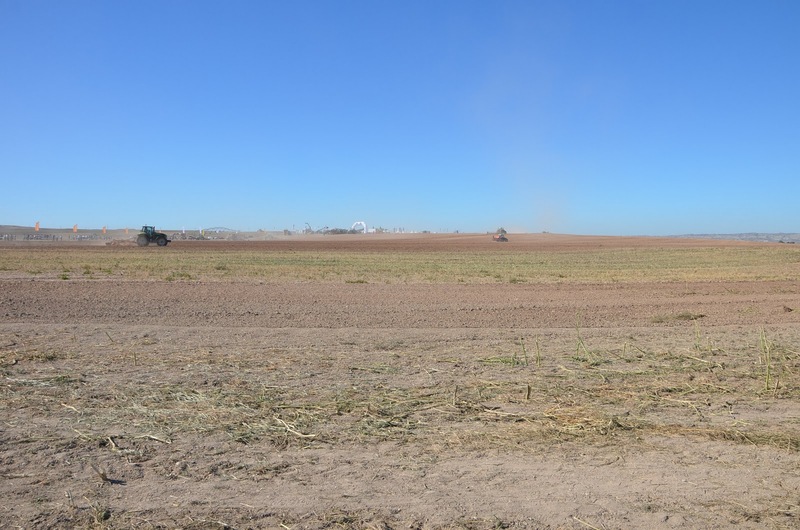 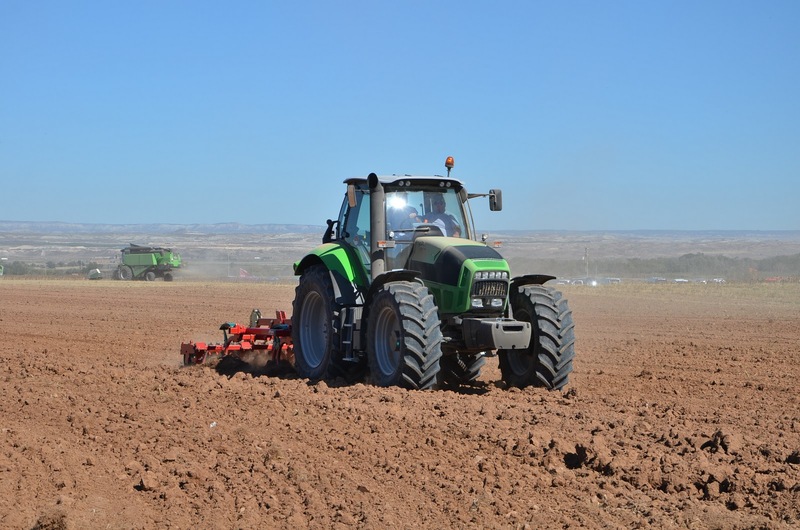 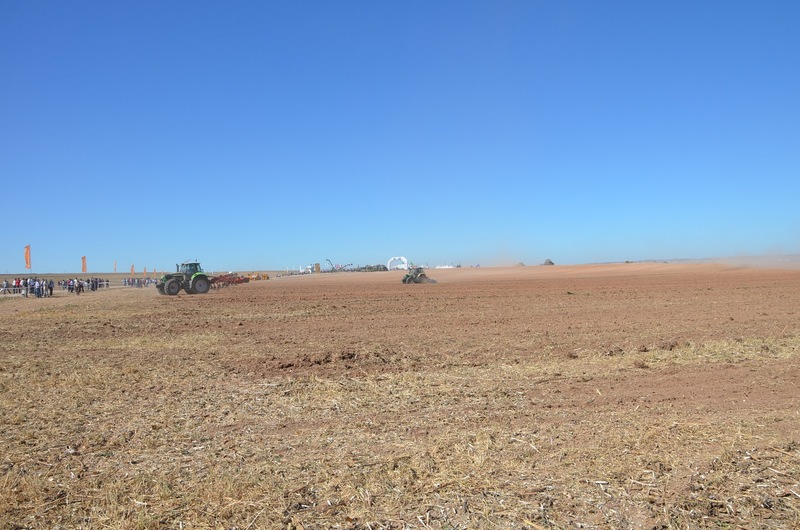 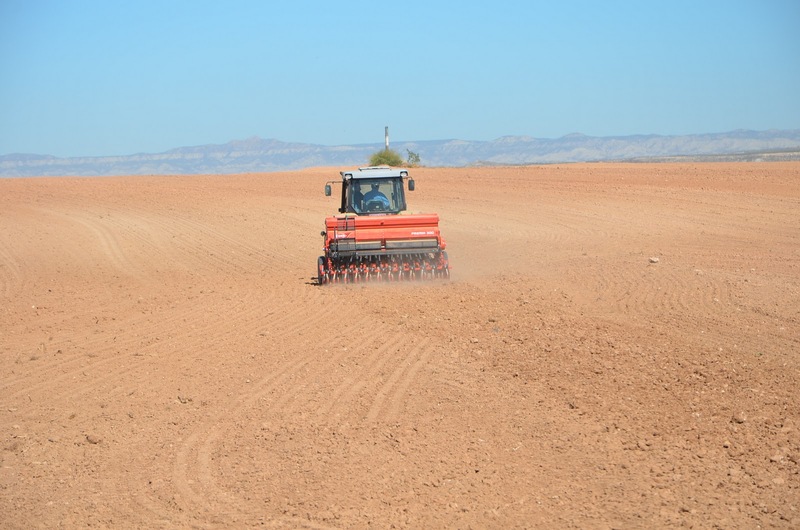 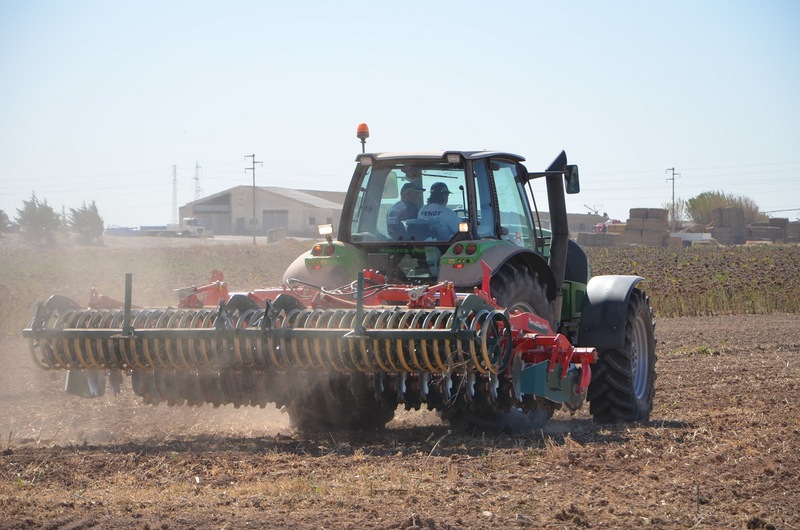 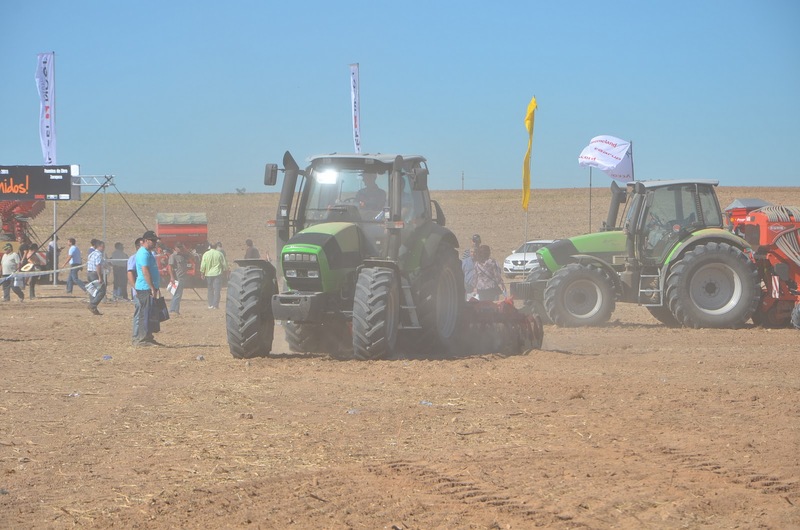 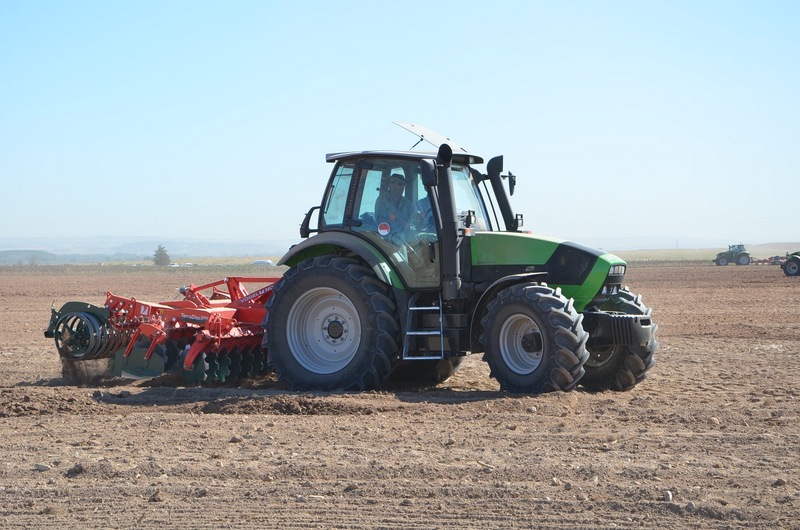 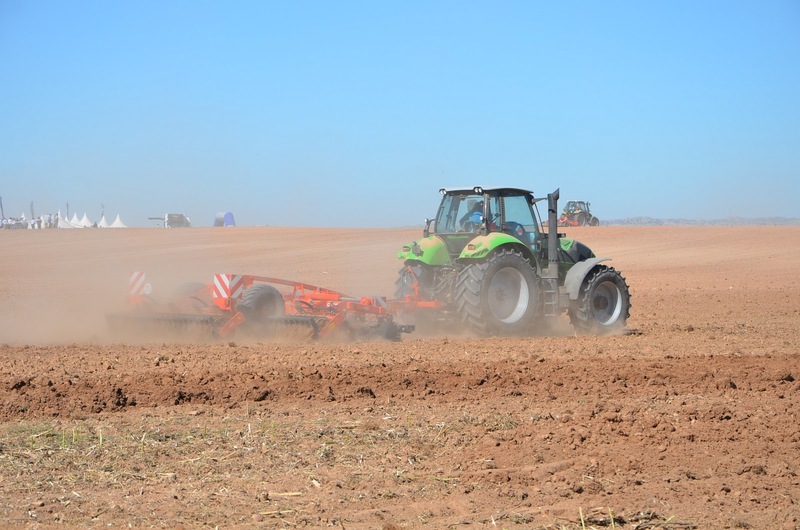 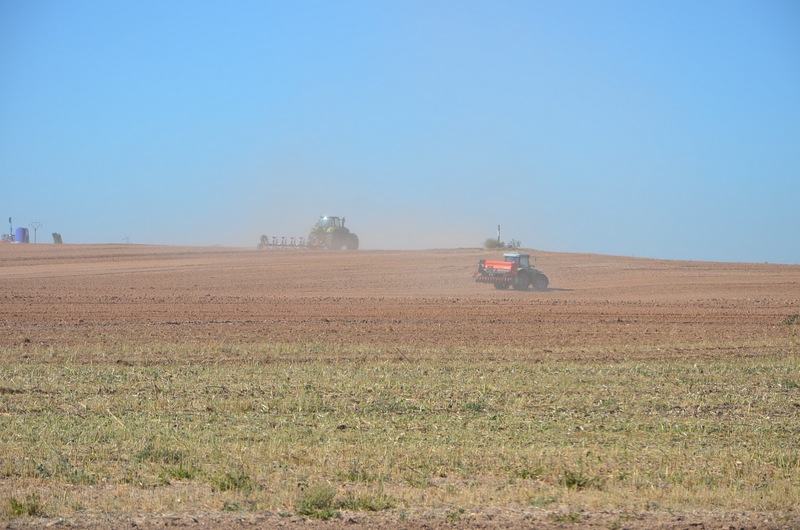 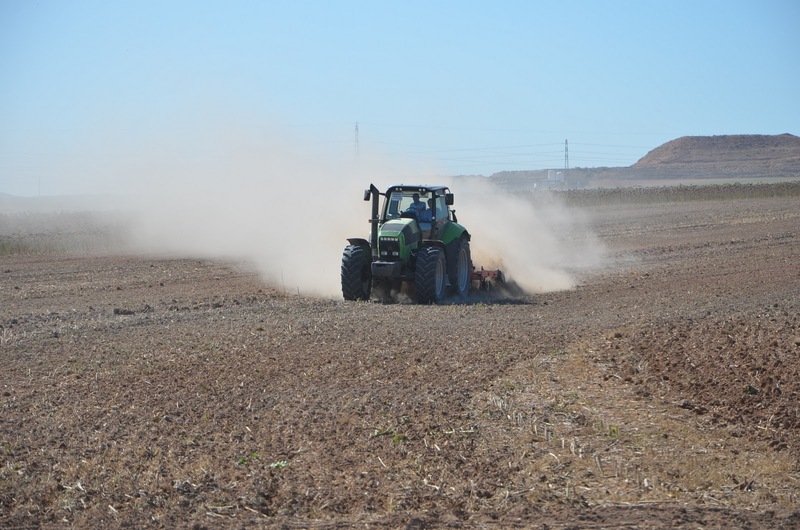 With respect the biggest tractors, the Agrotron X710 and Agrotron X720, we couldn't test them but we could see them working without problems despite of being used with a big plough. 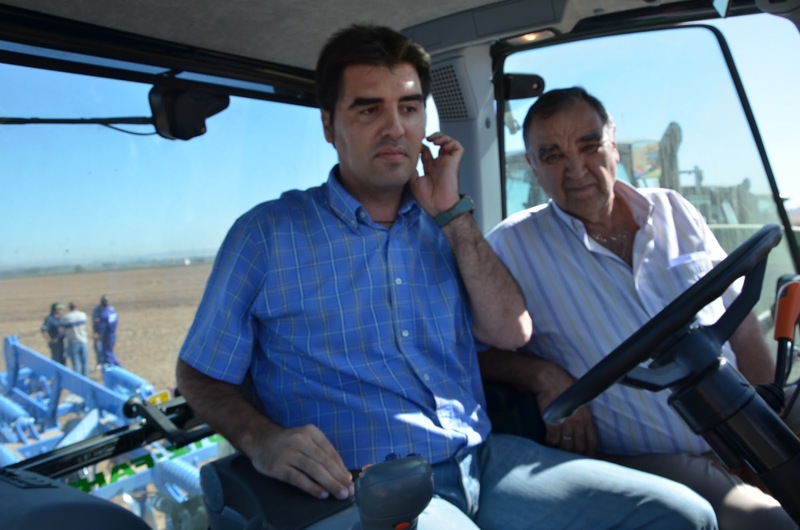 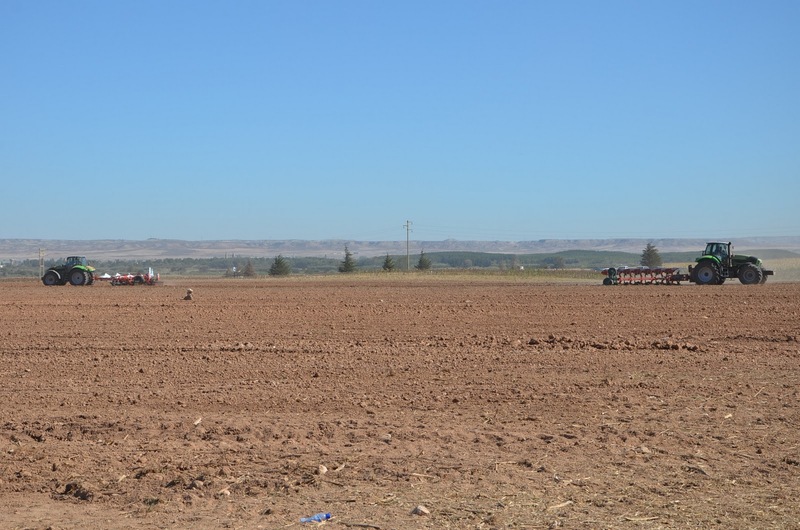 About negative things, there were not any tractor with assisted steering system by GPS. 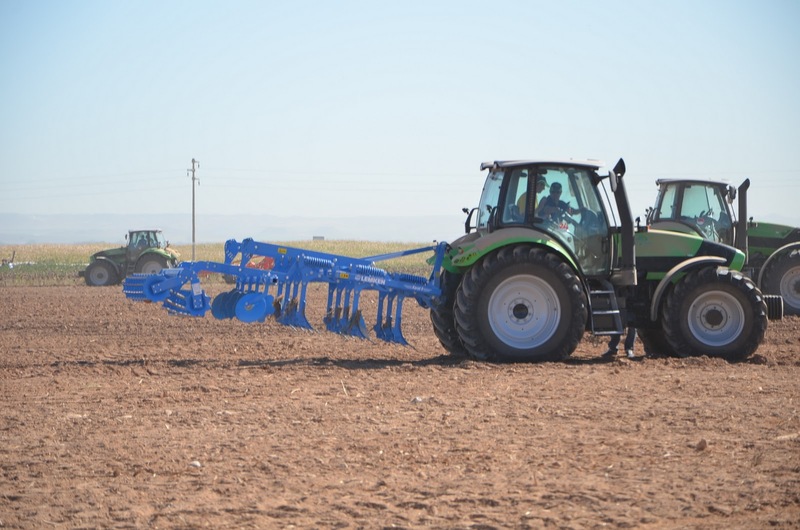 I think it is an important trend and they should had one.Then, I wanted to test one of them. 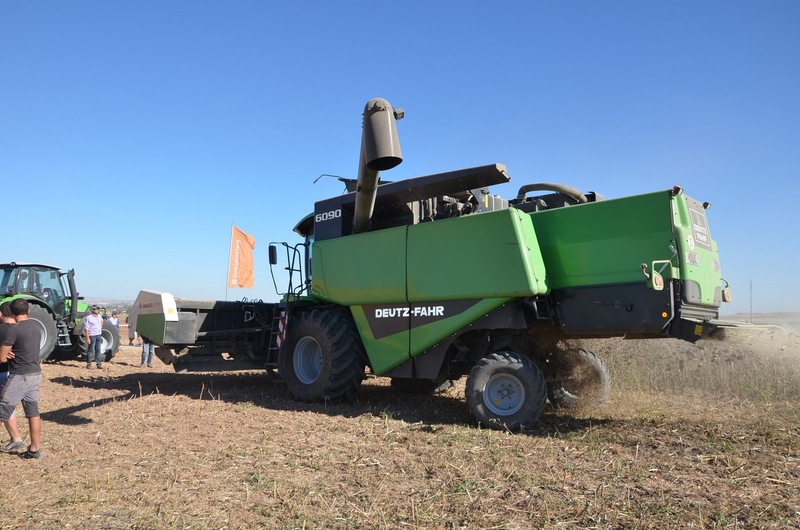 Finaly, I need to remark the big recovery the Deutz engines shows to achieve high engine speed; it is remarkable in models with normal transmission. 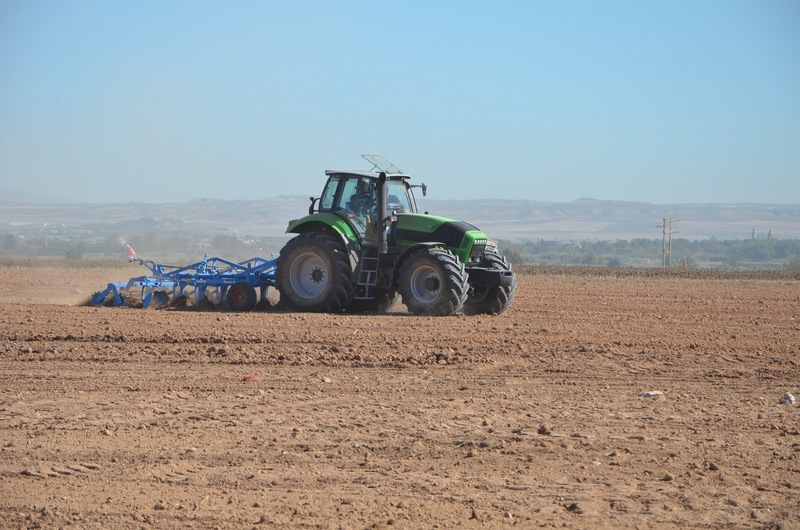 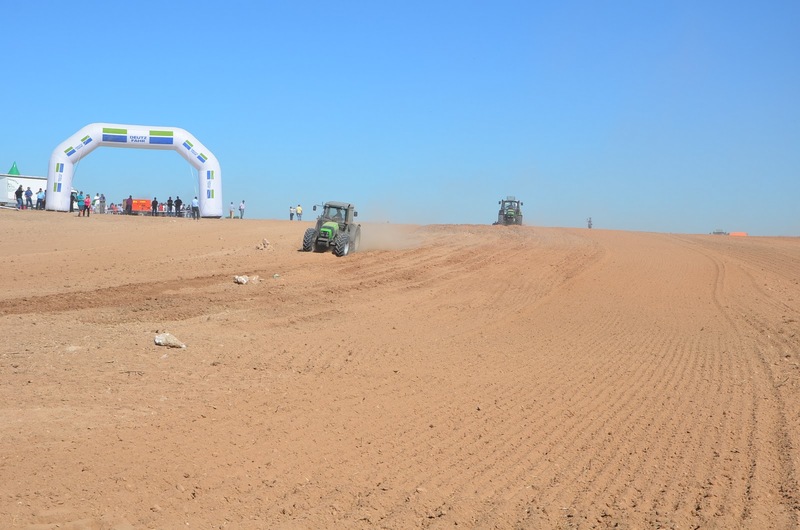 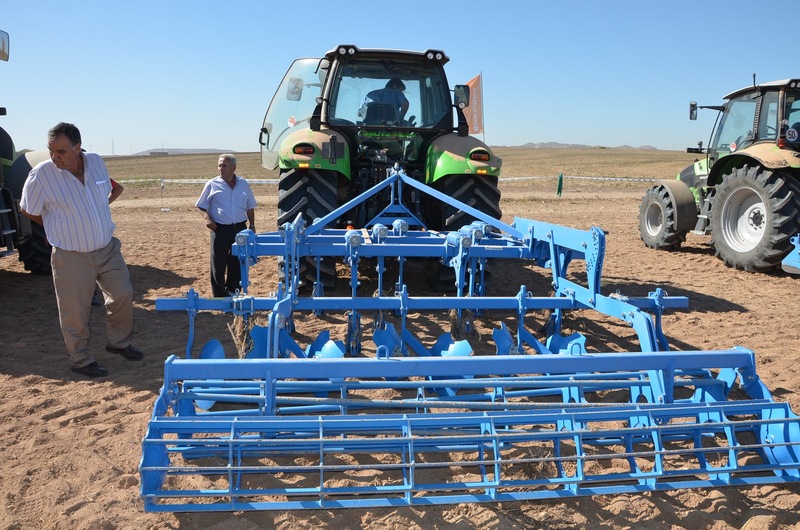 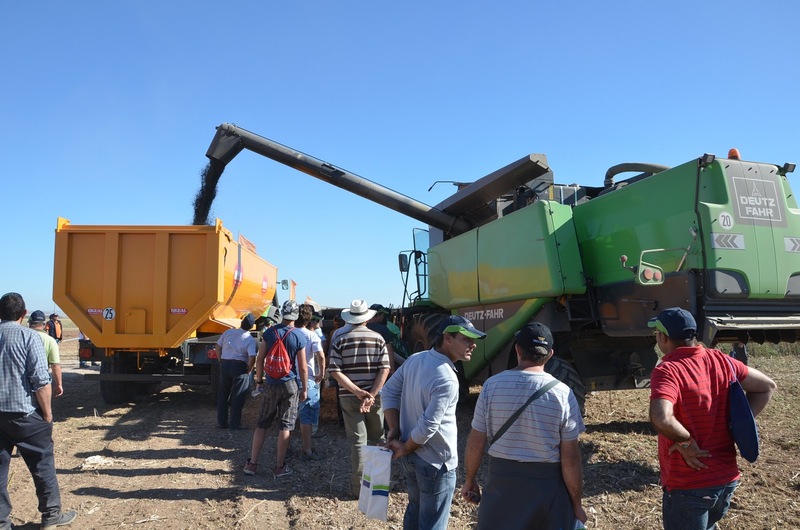 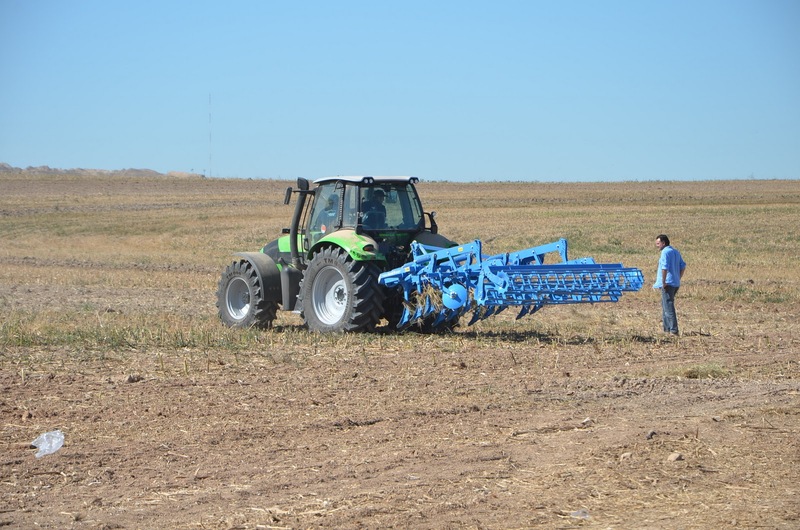 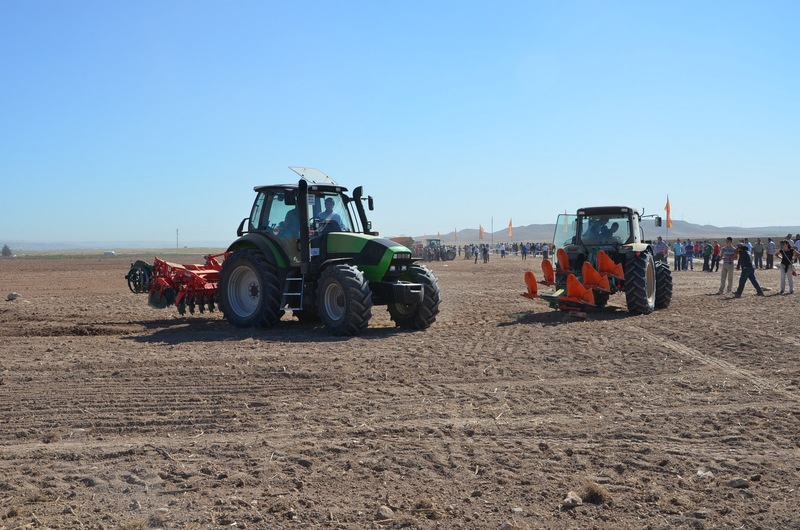 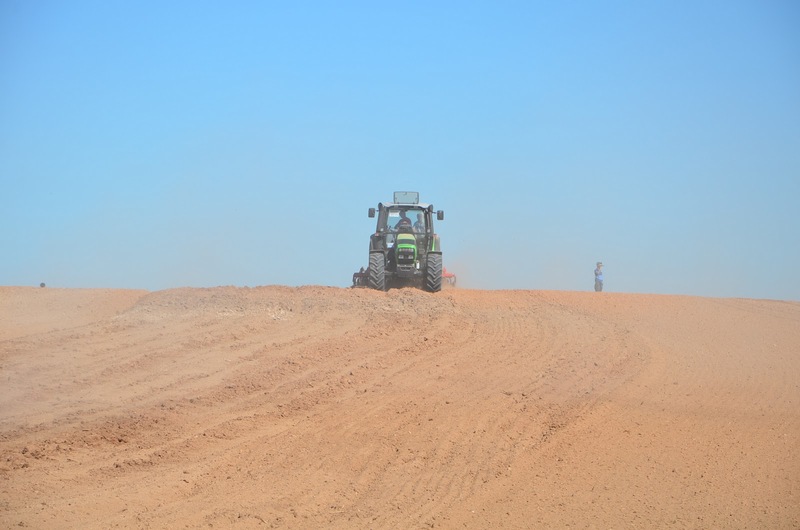 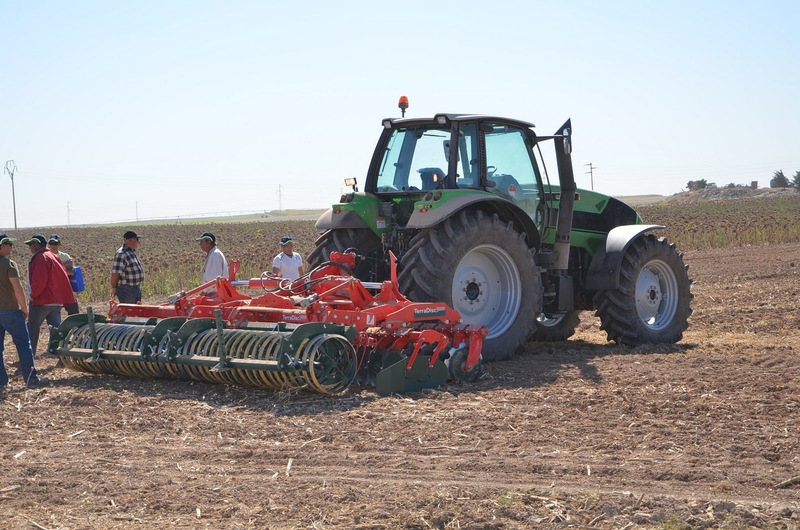 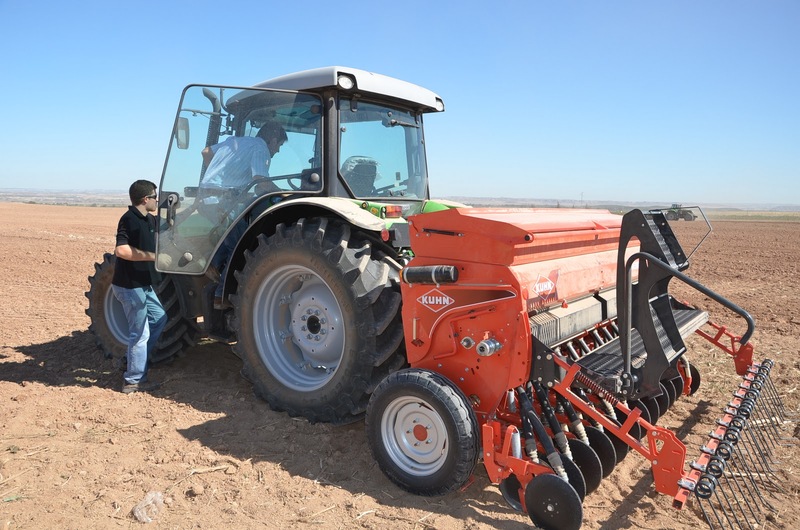 We worked with Agrotron M600 and M650 and we had a working speed of 13km/h and 1,800 r.p.m. 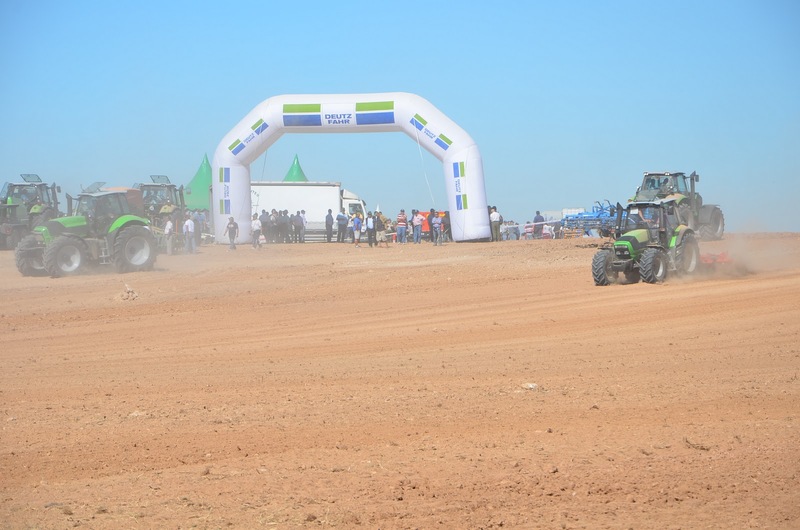 After that, we could go down the engine speed at 1,300 r.p.m during a few seconds and we could go back to get to 2,000 r.p.m without problems.